Please supply both fields above! The $20,000 instant asset write-off threshold has been extended until 30 June 2018.
from 7.30pm on 12 May 2015 to 30 June 2016, and your turnover is less than $2million. This deduction is used for each asset that costs less than $20,000, whether new or second-hand. You claim the deduction through your tax return, in the year the asset was first used or installed ready for use. If you would like more information please contact us. Please click on the link to download a comprehensive guide to the 2019-20 Federal Budget by Knowledge Shop. Should you have any queries please do not hesitate to contact us on 3245 9966. A surplus election budget is the news coming out of the 2019-20 Federal Budget. With superannuation left largely untouched, the Government focused on further personal income tax cuts. However, three key announcements include providing more flexibility for individuals to contribute at ages 65 and 66, the ability to choose their preferred exempt income tax method and increased funding for electronic super rollovers are welcomed. This Federal Budget will provide much needed stability and flexibility for SMSF members while looking to reduce red tape. From July 1 2020, Australians aged 65 and 66 will now be able to make voluntary superannuation contributions, both concessional and non-concessional, without meeting the Work Test. Previously, this was only available to individuals below 65. This will align the Work Test with the eligibility age for the Age Pension, which is scheduled to reach 67 from 1 July 2023. There are around 55,000 Australians aged 65 and 66 who will benefit from this reform in 2020-21. This also includes extending access to the bring-forward arrangements to individuals aged 65 and 66 which allows individuals to make three years’ worth of non-concessional contributions to their super in a single year. The Government has also increased the age limit for spouse contributions from 69 to 74. Currently, those aged 70 years and over cannot receive contributions made by another person on their behalf. The Work-Test-Exemption which allows individuals a further year to voluntarily contribute to superannuation after they have finished working will still apply to individuals from 67 to 74. The Government will streamline administrative requirements for the calculation of exempt current pension income (ECPI). The Government will allow superannuation fund trustees with interests in both the accumulation and retirement phases during an income year to choose their preferred method of calculating ECPI. This change will reduce unnecessary red-tape for SMSFs in pension phase. The Government will provide $19.3 million over three years from 2020-21 to the Australian Taxation Office (ATO) to send electronic requests to superannuation funds for the release of money required under a number of superannuation arrangements. This is an improvement on the current process which includes physical documentation. The start date of SMSF rollovers in SuperStream will be delayed until 31 March 2021 to coincide with the expansion of the SuperStream. The Government will lower taxes for individuals by building on its legislated Personal Income Tax Plan announced in the 2018-19 Budget. The changes to the plan will provide immediate relief to low- and middle-income earners. Under the changes, the reduction in tax provided by the low and middle income tax offset will increase from a maximum amount of $530 to $1,080 per annum and the base amount will increase from $200 to $255 per annum for the 2018-19, 2019-20, 2020-21 and 2021-22 income years. 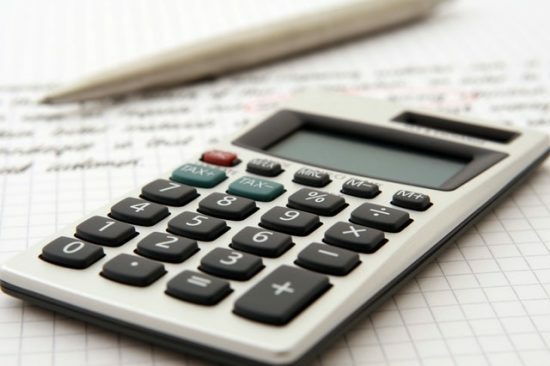 From 1 July 2022, the Government will increase the top threshold of the 19 per cent personal income tax bracket from $41,000, as already legislated, to $45,000. From 1 July 2024-25, the Government will reduce the 32.5 per cent marginal tax rate to 30 per cent. In 2024-25, the 37 per cent tax bracket will be abolished under the Government’s already legislated changes. A forecasted surplus for 2019-20 of $7.1 billion. Expanding the instant asset write-off for small and medium size businesses. A $2.8 billion increase in infrastructure spending. If you have any questions or would like further clarification in regards to any of the above measures outlined in the 2019-20 Federal Budget, please feel free to call 3245 9966 to arrange a time to meet so that we can discuss your particular requirements in more detail. Parking: Onsite client parking is available at both offices. If you have any questions about our locations, contact details or our services, please call us and we’ll be happy to assist you. What will happen to your family when tragedy strikes? 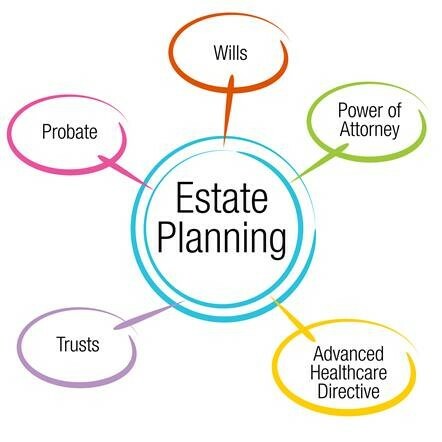 Estate planning is one of the most important life decisions you can make for the people you love. We invite you to attend a complimentary information night to learn about the importance of estate planning and how you can protect your family and legacy. The unexpected happens to everyday people everyday. Start your estate plan today. Which 4Front Team Won The Dapper Trophy? As some as you may know Melbourne Cup is a very important event on the 4Front Social Calendar with both Directors currently or previously owning an interest in race horses. The 4Front staff frocked up with the “fashion on the field” competition at the “Pacific Resort Penthouse” in Cleveland. Having a spectacular view of the harbour, it was difficult to remember to turn on the big screen televisions to watch the race. The weather could not have been more perfect nor the great company, and food! The lunch was organised and funded by the 4Front Social Club. Thank you to Liz and her helpers in organising the event and Jess and Liz for our incredible grazing table. It was beautifully presented. This year, the social committee unveiled the “4Front Dapper Trophy” to be given the best dressed team on the day. Each staff member was given a horse/ jockey combination and they had to incorporate the jockeys colours into their fashion piece for the day. The teams were very competitive in wanting to win the inaugural trophy and bragging rights for a year. Congratulations to Liz, Ben, Crystal and Sue on their team’s win. Garry and Sue won best dressed individual award. We were all cheering for our horse to win and some finished with larger pocket having won the sweeps. All up it was a wonderful afternoon for all that attended. 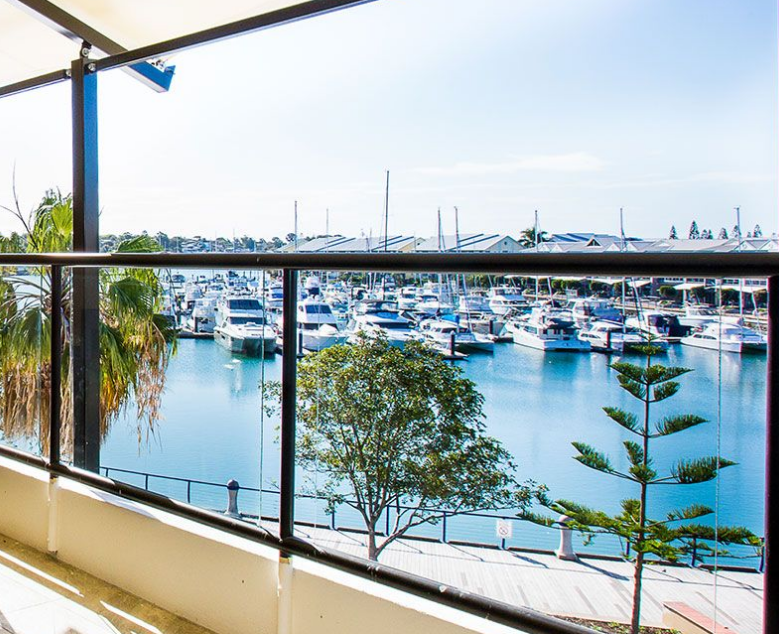 If you are interested in hiring the penthouse for a function please contact Sarah at Pacific Resort on 07 3286 2088 or visit their website at https://www.comforthotelcleveland.com.au/. Have You Considered What You Will Do If An Unexpected Event Occurs? Your SMSF is a long-term plan. Much can happen during this time including illness, incapacity or death of a member. It is best practice to have contingency plans in place to deal with unexpected events. For example, if a fund member dies, leaving you as the sole member, your fund may be in breach of the SIS Act. Outlined below are some issues to consider as trustees if an unexpected event occurs. The rules of your SMSF, as set out in your trust deed and related documents, determine how the trustee structure is to be reconstructed on the death of a member as well as how death benefits are to be handled by you and your fund. A lot of careful consideration needs to be given to understanding the member’s wishes to ensure that your fund’s trust deed and broader governing rules are drafted appropriately to achieve these requirements. You may need to think carefully about who receives your superannuation on death to maximise its benefit for your beneficiaries. Other considerations are a binding death benefit nomination to nominate who will receive your superannuation on your death. You may need to also consider Individual Trustees versus a Corporate Trustee. If the member of an SMSF with individual trustees passes, the names on the funds’ ownership documents must also change. This can be costly and time-consuming and your fund may be in breach of the SIS Act and Regulations. A corporate trustee will continue to control an SMSF and its assets after the death or incapacity of a member. This is a significant succession-planning issue for an SMSF as well as for the estate-planning of its members. Consider the consequences if you become unable to act as trustee (e.g., due to mental incapacity). You can appoint an enduring power of attorney to act in your place as trustee, if required. This is someone who can be trusted to handle your financial affairs and can be appointed as trustee of the SMSF. Family law contains a number of options for superannuation to be split between a couple who separate or divorce. Your superannuation is treated separately to your other property, so specialist advice may be needed. SMSF trustees should regularly review insurance as part of preparing your investment strategy. This includes considering whether or not insurance cover should be held for each SMSF member. Your insurance cover may be essential if an unexpected event occurs. In some circumstances, you may already be holding insurance through membership of a large super fund. This policy may exist due to an employment arrangement and may be more cost-effective than an equivalent valued policy that you could hold within an SMSF. However, not all insurance policies are the same, so seeking advice will help you to understand your needs. If you need assistance with planning for an unexpected event or reviewing your current strategies, please call Garry or Carmine to book an appointment on 07 3245 9966. We just thought we’d share an exciting development with you here are 4Front. As recently as yesterday, 4Front is now Trademarked Registered under Class 35. In a nutshell, Trademarking your business helps you to protect your brand, and to distinguish you from your competitors. It’s cost effective, and we feel it’s an important step in any business’ asset protection journey. If Trademarking your business appeals to you, even in the slightest, please get in touch with us and we will point you in the right direction of one of the several firms that we work with here in Brisbane that can assist you. In a hotly contested appeal decision three weeks ago, the Full Federal Court held that the determination of whether an employee is a casual must consider ‘the real substance, practical reality and true nature of the relationship‘, as opposed to adopting the description the parties have given to the relationship. The decision of the Full Federal Court (WorkPac Pty Ltd v Skene  FCAFC 131) has rejected the commonly applied position that an employee described as a casual under an award or enterprise agreement is a casual for all purposes. The Court found that a casual employee was entitled to annual leave under the National Employment Standards in the Fair Work Act 2009 (Cth) (FW Act). This has implications for many employers who have operated on the basis that, for award or agreement-based employees, the fact that they describe an employee as a casual and pay them a casual loading is sufficient to make them a casual at law. It was generally expected that WorkPac would file for special leave to appeal the decision to the High Court. However, the date for a High Court special leave application expired on Thursday 13 September 2018 and no special leave application has been lodged. Employers are urged to watch this space as, according to the Australian Industry Group, the decision could leave between 1.6 million and 2.2 million casuals across the economy entitled to annual leave. The decision could lead to a significant bill for back pay of annual leave to casual employees. You are urged to seek advice if you think this decision could affect your casual employees. So, what did the decision say? In 2016, Judge Jarrett determined that a dump truck driver working at a mine and engaged as a casual under a labour hire arrangement was an employee who was entitled to annual leave payments under the FW Act. •Not a casual because his employment was continuous, predictable, and determined in advance by rosters. The driver was employed in 2010 as a fly-in, fly-out worker at Clermont. His employment at the mine in central Queensland ended in 2012 amid allegations of misconduct. He claimed he was entitled to payment in lieu of annual leave. Workpac submitted that it had engaged the driver as a ’casual or fixed term employee term employee’ under the Workpac Pty Ltd Mining (Coal) Industry Workplace Agreement, and this made him ineligible for annual leave, other entitlements, claims or payments in lieu of annual leave. •He worked 12.5 hours each shift on a ‘7-days-on, 7-days-off continuous roster arrangement’, rotating between day and night shifts. •Workpac assigned him permanent camp-style accommodation, which he shared with another employee working the opposite roster. •He had regular and predictable working arrangements, as his shifts were set 12 months in advance and followed a stable and organised rotating roster. •His employment was continuous, apart from taking seven days unpaid leave, arranged with approval from Clermont. •The fly-in, fly-out arrangement with Clermont, which included flights and accommodation, facilitated his employment. •He did not elect the days he worked, nor did he work for any other employer. •He could not choose when and where to work because there was an expectation that he was available, on a continuing basis, to perform his duties in accordance with the roster. Judge Jarrett held that award or agreement designation was insufficient to determine an employee’s entitlements under the FW Act. It did not matter how Workpac or the driver described their relationship: ‘it is their mutual intention that must be objectively ascertained from the words of their agreement and the other matters’. There is no absence of a firm advance commitment as to the duration of [the driver’s] employment or the days (or hours) he would work. Those matters were all clear and predictable. They were set 12 months in advance. In the recent decision, the Full Federal Court upheld Judge Jarrett’s decision and endorsed the notion that, if an employment relationship has a level of certainty, regularity and predictability about the hours to be worked, then it is inconsistent with being a casual engagement. Adopting this approach, the Full Court found that Mr Skene was entitled to annual leave entitlements on termination of his employment, notwithstanding that he had signed a casual employment contract and was at all times treated as a casual by his employer. The Court also noted that, although Mr Skene was paid an all-in flat rate under his contract of employment, it was not clear that this was a casual loading at all. Mr Skene’s contract did not allocate any part of the rate of pay to a casual loading or as monies in lieu of paid annual leave. Further, even if Mr Skene was paid a casual loading, the Full Court found that Mr Skene would not be paid twice for the same entitlement because the fact that he was paid a casual loading when he need not have been was not a legitimate basis for excluding Mr Skene from the construction of section 86 of the FW Act. The Full Court also found that employees can be genuinely engaged as casuals to begin with, but ‘may become full-time or part-time because its characteristics have come to reflect those of an ongoing part-time or full-time employment’. The case is set to return to court on 12 December 2018 to determine penalties. Employers should review their casual workforce and exercise caution in relation to purported casual arrangements. Although parties may intend to create a casual relationship, a court or tribunal asked to consider a purported casual employment arrangement will look beyond the label and objectively assess the employment and surrounding circumstances to determine the true nature of the relationship. If you have any questions or wish to discuss the above, please contact our office. 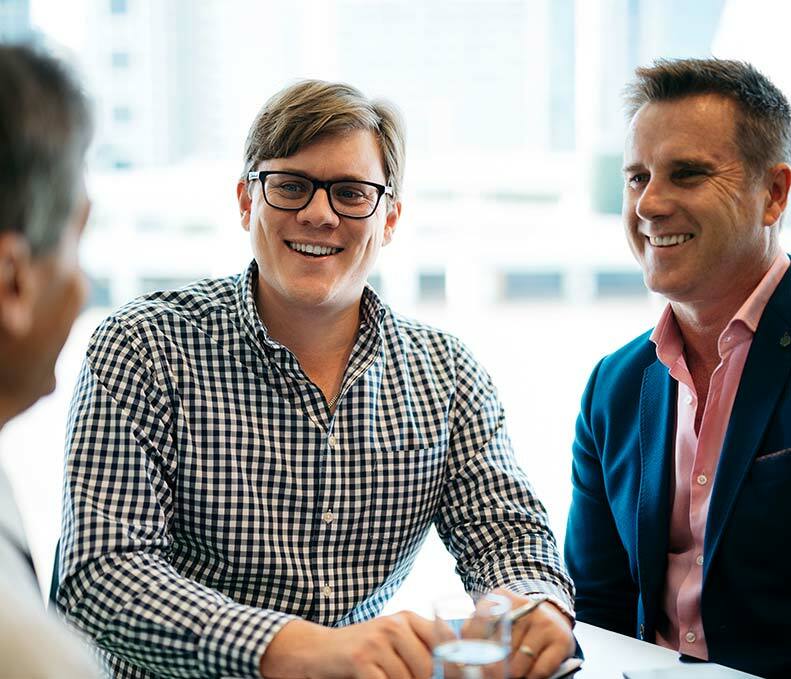 Xero staged its annual 3-day conference in Brisbane earlier this month. The conference provided the 3,500 attendees from across Australia and New Zealand with the opportunity to find out what is happening at Xero, connect with business app developers across the Xero ecosystem and be inspired by some amazing keynote speakers. Senior accountant, Ben Smith, represented 4Front at this year’s Xerocon making contact with a number of developers working on products to assist both our clients and our firm. We are currently in the process of reviewing these applications and look forward to bringing you more insights, greater efficiencies and opportunities for growth. Xero itself unveiled some exciting new developments including the acquisition of data entry automation company Hubdoc and a new integration with NAB. 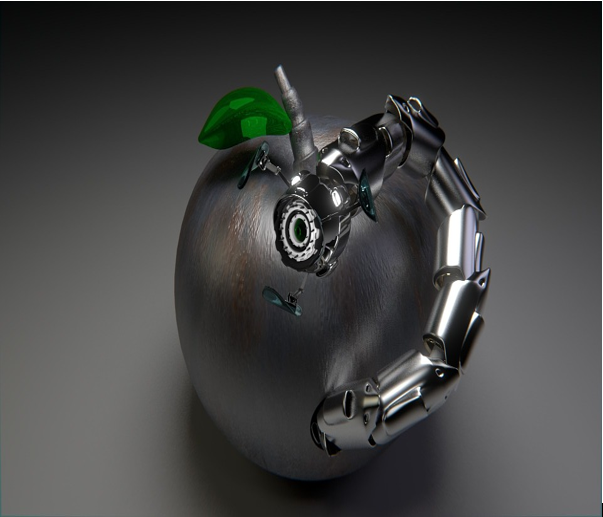 These developments, along with other automation enhancements, will see improvements in processes like bank reconciliations and manual invoice entering resulting in greater accuracy, time savings and better information for decision making. The theme of this year’s Xerocon “Human” was supported by some incredible keynote speeches. Genevieve Bell (Australian Anthropologist) shared her journey, from outback kid in the Northern Territory to professor at Stanford University in California and becoming a Fellow at Intel, along with insights into the future of artificial-intelligence. Gill Hicks (London bombings survivor and now an inspirational speaker) moved the audience with her story of survival and recovery and highlighted the humanity of all those involved in her rescue and resurrection. Mark Manson (author, blogger, internet entrepreneur) lightened the mood, helping the crowd to find happiness by not sweating the small stuff and instead focus on the problems we enjoy solving to bring more meaning to our work and lives – something we can all relate to. All in all, Xero Brisbane 2018 was a fantastic event and we can not wait for next year! If you would like more information on Xero or any of the related apps, head to www.xero.com and www.xero.com/au/marketplace/s/app-functions or call our office. We have many Xero Certified Staff who will be more than happy to assist you. Can a will be changed after death? A deed of family arrangement can make it possible! There are times when the terms of a deceased’s will are not suitable, and the beneficiaries of the will seek to have the will varied. Sometimes there are good reasons where this is necessary, such as changing circumstances over a long period of time from when the will was first drafted, or an estrangement between family members is healed (or vice versa). This is where a deed of family arrangement can help, but it requires all beneficiaries and interested parties to agree on the changes to be made. 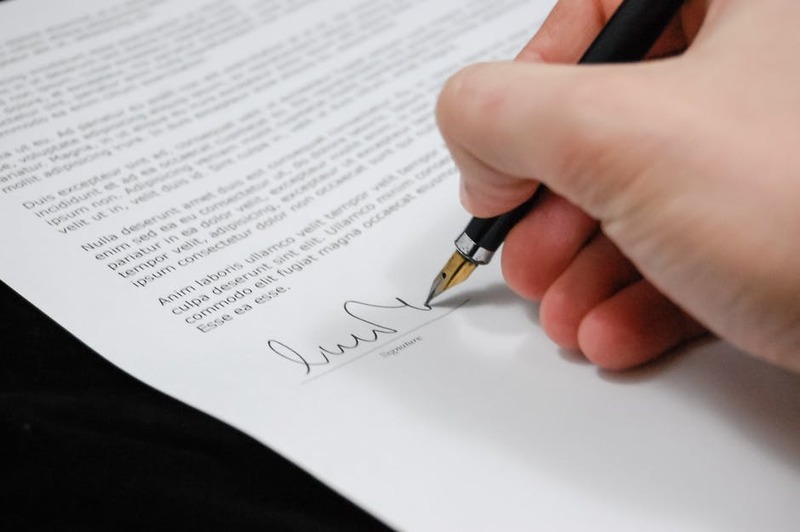 A deed of family arrangement can result in settlement of disputes without litigation and all of the expense associated with legal action, which can also tie up an estate for months or even years. • To create an estate proceeds trust under taxation legislation. Under certain circumstances, it may be possible to disregard the resulting capital gains or losses. Care also needs to be taken in relation to stamp duty implications, and these may vary from state to state. Note also that a deed of family arrangement that acts to reduce the entitlements going to a minor or a disabled person may require court approval. Care needs to be taken with any deed of arrangement, and the advice of a professional is highly recommended. Income tax cuts through a combination of tax rate threshold changes and tax offsets. Tax deductions denied for expenses associated with holding vacant land. Minor beneficiaries will be taxed under general minor tax rates, not adult tax rates, on income from certain assets in a testamentary trust. Cash payments to businesses will be restricted to $10,000 or less. Self-managed superannuation fund (SMSF) member limit increase. Work test exemption for those with balances of less than $300,000. Individuals with multiple employers able to opt out of Superannuation Guarantee. Opt-in basis for default insurance inside superannuation. Passive fees, exit fees and inactive super. Requiring superannuation fund trustees to offer Comprehensive Income Products for Retirement (CIPRs). Expansion of the Pension Loan Scheme. Extension of the Pension Work Bonus. New means testing rules for lifetime retirement income products. Improving access to residential and home care. Apprentice tradespeople across Queensland could be in line for a windfall after a court ruled an industrial loophole left them underpaid for almost four years. The Federal Court in Brisbane ended a long-running wages dispute on Monday by finding more than 4,000 trainee electricians were short-changed under an expired state award that paid them less than $9 an hour. The ruling means thousands more apprentices, from trainee hairdressers to plumbers and butchers, can now mount lost wage claims because they should have been paid under federal awards. The Electrical Trades Union told the ABC this could amount to back pay claims totalling between $100 and $200 million. Apprentice electrician Reuben Weston said he stood to gain more than $7,000 in back pay after being underpaid for two years. “It’s absolutely great because as we know now that we were underpaid for that amount of years, it’ll help me very much financially,” he told the ABC. “From what I’ve been told [the repayment] could be as early as January. “They’re just going to try and pump it as quick as they can because there are thousands of us who were underpaid.” ETU Queensland apprentice officer Scott Reichman said the ruling made clear that payments under an outdated state award were “always illegal, and means we can seek wage justice for these young people”. Mr Reichman said trainees who had fallen victim to “broken workplace laws” from the start of 2014 would in the electrical sector alone press for more than $70 million in underpayments. The wages battle began in 2015 when the Fair Work Commission found an apprentice agreement by All Trades Queensland should reflect a modern federal award of $13.07 an hour rather than an expired state award of $8.75. That ruling set the federal award as the minimum standard for apprentice pay. However, All Trades Queensland — which bills itself as Australia’s largest commercial supplier of apprentices and uses rugby league star Cameron Smith in its advertisements — appealed before the full bench of the commission. The commission upheld the ruling. All Trades Queensland, the Housing Industry Association and Master Builders Queensland then applied to have the Federal Court strike down the ruling. Master Builders Queensland deputy CEO Paul Bidwell said the decision affected “carpenters, bricklayers, plasterers, painters”, but went far beyond the building industry. “Our concern is what will the impact be on the individual businesses and the group training schemes who employ the lion’s share of apprentices,” Mr Bidwell told the ABC. Mr Bidwell said Master Builders had “no real sense” of the total cost to employers from back pay claims. “It’s more from our perspective about what’s going to happen into the future and to make sure that those businesses … are in a position to keep on employing apprentices,” he said. Mr Bidwell said it was too early to know whether the ruling would trigger an apprentice hiring freeze, with the transition to higher wages yet to be settled with a state election just gone. Mr Bidwell rejected any suggestion some employers had rorted their apprentices, saying the ruling on the higher wages by the commission in 2016 “came as a complete surprise” to businesses advised by governments and workplace authorities they had been doing the right thing. Single Touch Payroll (STP) is mandatory for ‘substantial employers’ (those with 20 or more employees) from 1 July 2018. To find out if you are a substantial employer, count the employees on your payroll on 1 April 2018. You do not need to send us your headcount information. However, you may want to keep a copy for your own records. Count each employee as per the definition below. The headcount is a bit like the census. You can do it after 1 April, but you need to count the employees who were on your payroll on 1 April. Once you become a substantial employer you will need to continue reporting through STP even if your employee numbers drop to 19 or less – unless you apply for and are granted an exemption. You don’t need to send us your headcount information. This is for you to determine if you need to start STP reporting from 1 July 2018. You may want to keep a copy for your own records. If you are part of a company group, you must include the total number of employees employed by all member companies of the wholly-owned group. casual employees and seasonal workers who are on your payroll on 1 April and worked any time during March. There are exemptions to counting seasonal workers who were employed for a short-time only. any employee absent or on leave (paid or unpaid). Directors, office holders and religious practitioners are not included in the headcount. They are not considered employees within the common law meaning of the term. However, when you start reporting through STP you will need to report their payment information. This is because the payments are subject to withholding and are currently reported in the Individual non-business payment summary. 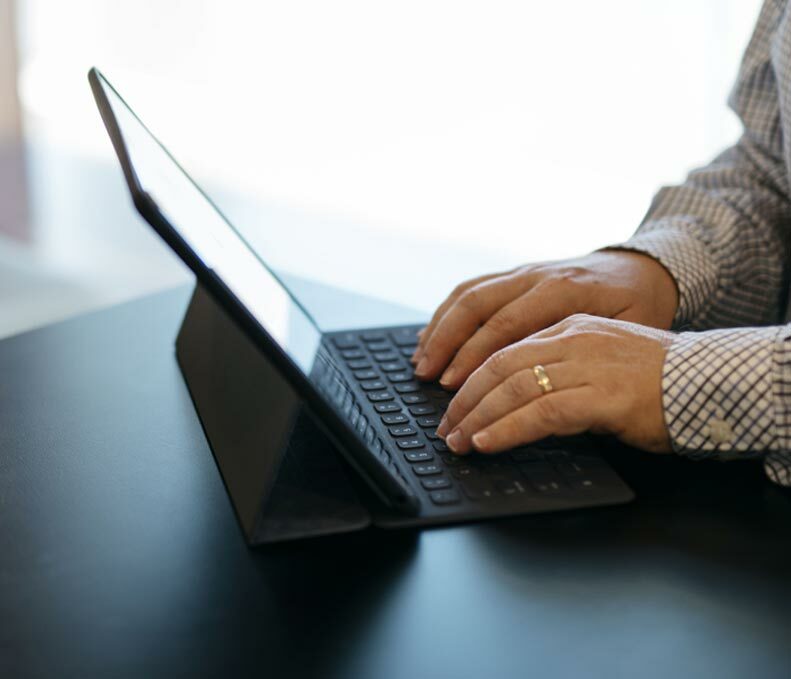 Find out how your payroll software provider will offer Single Touch Payroll (STP) reporting – this may be through an update to your existing software, or an additional service. Check if they have a deferred start date for your product. Find out what support they will offer to their clients to transition to STP. Subscribe to their communications – this may be email, newsletter or web updates. Subscribe to the ATO updates. Make sure the ATO have the right contact details for your business or organisation. Make sure the right people in your business know about Single Touch Payroll – especially your payroll staff. Check if you are paying your employees correctly. Check if you are calculating your employees’ super entitlements correctly. Check if you are addressing overpayments correctly. 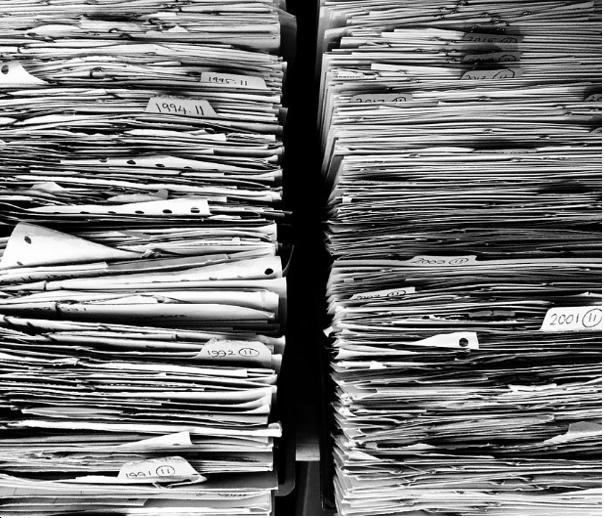 Is your employee information accurate, including names, addresses, date-of-birth records? If your software will be ready, but you won’t, you will need to apply to the ATO for a deferred start date. If your payroll software provider has a deferred start date, and you still need more time, you will need to apply for your own deferral. Make sure you follow the ATO guidelines and provide all the evidence required. The ATO will only provide deferrals for extenuating circumstances. The ATO will help and support you through your first year of reporting. It’s ok if you make a mistake – you will be able to make corrections. The first year is a transition and penalties will generally not apply. operates a business for all or part of the income year. See Draft Taxation Ruling 2017/D7 for what it means for a company to be ‘carrying on a business’. The maximum franking credit that can be allocated to a frankable distribution has also been reduced to 27.5% for these companies – in line with the company tax rate. From the 2017–18 income year, a base rate entity is eligible for the lower 27.5% company tax rate. However, you still need to be a small business to be eligible for other small business tax concessions. operates a business for all or part of the income year – See Draft Taxation Ruling 2017/D7 for what it means for a company to be ‘carrying on a business’. To work out the rate you use when franking your distributions you need to assume your aggregated turnover will be the same as the previous income year. The lower 27.5% company tax rate will progressively apply to base rate entities with a turnover less than $50 million by the 2018–19 income year. From 2024–25, the lower company tax rate will reduce each year until it is 25% by 2026–27. A Bill was tabled on 18 October 2017 proposing to change the definition of a base rate entity from the 2017–18 income year. Under the proposed law, the carrying on a business test will be replaced with an 80% passive income test. A Bill was tabled on 11 May 2017 to gradually extend the lower company tax rate to all companies. $2 million for previous income years. write-off the balance of your small business pool at the end of an income year if the balance – before applying any other depreciation deduction – is less than $20,000. Note: The current instant asset write-off threshold is $20,000. This threshold has been extended until 30 June 2018. It has changed over the last few years (see Instant asset write-off). only claim a deduction for the portion of the asset used for business or other taxable purposes – not for the portion for private use. If you choose to stop using the simplified depreciation rules or become ineligible to use them, you must then use the general depreciation rules. However, any assets in your small business pool will continue to be depreciated in the pool, even if you stop using the simplified depreciation rules. The Tax Office has warned that worked-related expenses will be put firmly under the microscope this year, with clothing and laundry claims top of its hit list. “We have seen claims for clothing and laundry expenses increase around 20 per cent over the last five years. While this increase isn’t a sign that all of these taxpayers are doing the wrong thing, it is giving us a reason to pay extra attention,” Assistant Commissioner Kath Anderson said in a statement. According to Ms Anderson, more than 6.3 million Australians claimed clothing and laundry expenses as part of their tax last year – worth close to $1.8 billion. She is warning business owners and their employees that clothing and laundry expenses are not available to many people, and wrongly claiming these deductions can set you up for trouble. “I heard a story recently about a taxpayer purchasing everyday clothes who was told by the sales assistant that they could claim a deduction for the clothing if they also wore them to work,” Ms Anderson said. Demonstrating her point, Ms Anderson provided an example that demonstrates the ATO’s rules on clothing deductions and how taxpayers are often caught out by the standard $150 deduction. Another devastating ransomware attack has caused havoc worldwide, with security experts again warning SMEs they are a primary target. Many SME owners fall into the trap of believing they are not a focus for ransomware and other cyber attacks because of their small size. However, it is this exact mentality that often makes SMEs the primary target of fraudsters. Just a month after the WannaCry attack left businesses and government organisations around world, including the UK health service, in chaos, a new ransomware called Petya has been detected, which could prove as devastating, or even moreso, than its predecessor – particularly since Australia escaped largely unscathed from the WannaCry attack. “The rapid pace of this new Petya ransomware attack points at another worm that can spread from computer to computer by itself,” explains Steve Malone of Mimecast. “Unlike WannaCry which encrypts a computer’s files, however, the Petya ransomware encrypts a segment of the hard drive that renders the entire computer inoperable. Older legacy systems and critical infrastructure are particularly vulnerable to this attack,” Fortinet said in a statement issued in response to the new attack. Ensure systems are patched (MS17-010) and all antivirus programs are up-to-date. Determine if backup systems are effectively configured. Restore only from secure backups with known safe snapshots or re-image systems completely. Isolate any unpatched systems to prevent lateral movement of Petya. 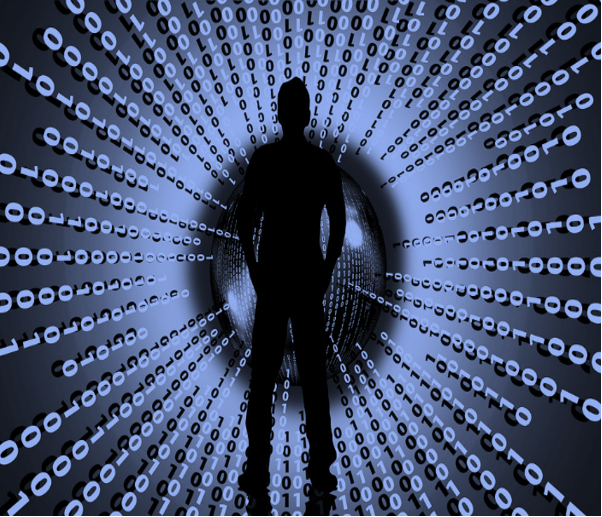 Verify effective monitoring of all critical systems and networks. Create or maintain regular reviews of privileged credential protection to prevent further access via legitimate tools across a network. 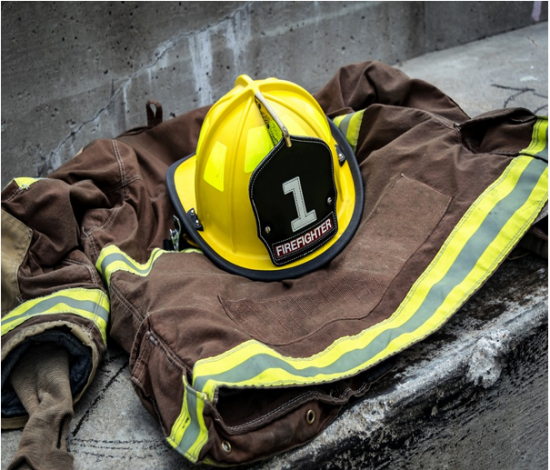 Review incident response and contingency plans. For information on how to best protect your system from viruses and ransomware please contact your IT specialist or IT Security Provider. 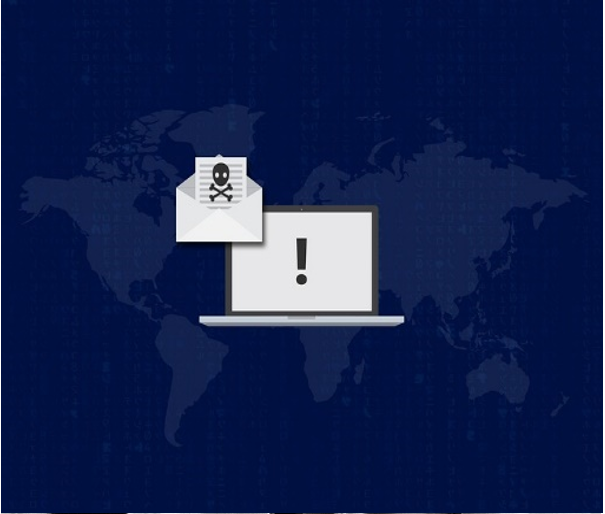 As you may have seen in the news, overnight there was a wide scale ransomware attack that has thus far affected thousands of machines worldwide. The attack is currently being dubbed Petya after the strain of ransomware that experts believe it is based on. It appears that the malicious software gains access through phishing emails that prompt the user to download infected Word or PDF attachments. After the file is download the ransomware locks all files and the user is presented with a ransom message. As part of our ongoing improvements to serve you, we are needing to upgrade some of our IT systems. This means we will have system outages for a short period of time in the 1st week of July. But, fortunately we have scheduled these outages to cause minimal disruption. The Capalaba Office will commence the first stage of the upgrade. The office will remain open, but we will not have access to our systems from 1pm. So we will be unable to access or process client information. The Stones Corner office will not be effected by this upgrade. Our second stage commences on Tuesday, and will involve both the Capalaba and Stones Corner offices. At 12 noon on Tuesday 4 July, 2017 both offices will close and will not reopen that day. On Wednesday the 5th & Thursday the 6th July, 2017 both offices will be open, but staff will not have access to our systems, so again we will not be able to access or process information at either office. By Friday services should be back to normal at both the Capalaba and Stones Corner Offices. If you have any important business that may be due or be required during these outages, please make arrangements as soon as possible for this to be addressed prior to these dates. On May 12, 2017 there were multiple public reports of an ongoing large-scale cyberattack involving a variant of the ransomware named WannaCry (aka WCry). These attacks are targeting and have affected users from various countries across the globe. The WannaCry threat will encrypt data files on infected computers and ask users to pay a $300 US ransom in bitcoin to decrypt their files. The ransom note indicates that the payment amount will be doubled after three days. If payment is not made after seven days, the encrypted files will be deleted. Analysis indicates the attack spreads through an SMB remote code execution in Microsoft Windows announced and patched by Microsoft on March 14, 2017. Users who have installed this patch are not susceptible. A specific exploit against this vulnerability, code-named “Eternal Blue”, was made available through a dump of various attack tools by the group Shadow Brokers, on April 14, 2017. It is highly recommended that your software is up to date with the latest versions to help lower the risk of future infections within your system. For more information on this particular virus, including a timeline for the recent attacks and technical details please see the Symantec website here. There’s a malicious email currently circulating pretending to be from Docusign asking you to review a document. This email is a scam do not click on any links in the email. The subject line may vary but the sending email address is always ‘dse@docus.com’. This is not an email address used by Docusign. The $20,000 instant asset write-off for small business will be extended by 12 months to 30 June 2018, for businesses with an aggregated annual turnover of less than $10m. The current “lock out” laws from the simplified depreciation rules will continue to be suspended until 30 June 2018. These rules prevent small businesses from re-entering the simplified depreciation regime for five years if they opt out. From 1 July 2018, the immediate deductibility threshold, and the balance at which the pool can be immediately deducted, will revert to $1,000. From 1 July 2016, business with a turnover of less than $10 million will be able to access a range of concessions which are currently only available to business entities with a turnover of less than $2 million (Budget 2016-17). The small business CGT concessions will continue to be available to small business taxpayers with aggregated turnover of less than $2m or business assets of less than $6m. To secure the Commonwealth’s contribution to funding the NDIS (National Disability Insurance Scheme), from 1 July 2019 the Medicare levy will increase by half a percentage point from 2 to 2.5 per cent of taxable income. The Medicare levy will be increased from 2.0% to 2.5% of taxable income from 1 July 2019. Other tax rates that are linked to the top personal tax rate, such as the fringe benefits tax rate, will also be increased. 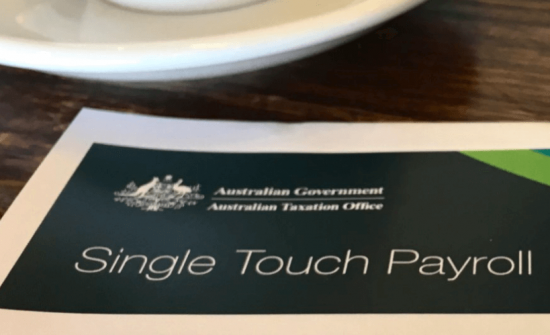 The threshold for singles will increase to $21,655 (up from $21,335 for the 2015/16 year). The family threshold will increase to $36,541 (up from $36,001 for the 2015/16 year). For single seniors and pensioners, the threshold will increase to $34,244 (up from $33,738 for the 2015/16 year). The family threshold for seniors and pensioners will increase to $47,670 (up from $46,966 for the 2015/16 year). The child-student component of the income threshold for all families will increase to $3,356 (up from $3,306 for the 2015/16 year). A new set of repayment thresholds and rates under the higher education loan program (HELP) will be introduced from 1 July 2018. A new minimum repayment threshold of $42,000 will be established with a 1% repayment rate. Currently, the minimum repayment threshold for the 2017/18 year is $55,874 with a repayment rate of 4%. A maximum threshold of $119,882 with a 10% repayment rate will also be introduced. Currently, the maximum repayment threshold for the 2017/18 year is $103,766 with a repayment rate of 8%. Deductions for travel expenses related to inspecting, maintaining or collecting rent for a residential rental property will be disallowed from 1 July 2017. This measure will not prevent investors from engaging third parties such as real estate agents for property management services. These expenses will remain deductible. Plant and equipment depreciation deductions will be limited to outlays actually incurred by investors in residential real estate properties from 1 July 2017. Plant and equipment forming part of residential investment properties as of 9 May 2017 (including contracts already entered into at 7:30pm (AEST) on 9 May 2017) will continue to give rise to deductions for depreciation until either the investor no longer owns the asset, or the asset reaches the end of its effective life. Investors who purchase plant and equipment for their residential investment property after 9 May 2017 will be able to claim a deduction over the effective life of the asset. However, subsequent owners of a property will be unable to claim deductions for plant and equipment purchased by a previous owner of that property. The use of limited recourse borrowing arrangements (LRBAs) will be included in a member’s total superannuation balance and transfer balance cap from 1 July 2017. LRBAs can be used to circumvent contribution caps and effectively transfer growth in assets from the accumulation phase to the retirement phase that is not captured by the transfer balance cap. The outstanding balance of an LRBA will now be included in a member’s annual total superannuation balance and the repayment of the principal and interest of an LRBA from a member’s accumulation account will be a credit in the member’s transfer balance account. Individuals will be able to make voluntary contributions into their superannuation of up to $15,000 per year and $30,000 in total, to be withdrawn subsequently for a first home deposit. The contributions can be made from 1 July 2017 and must be made within an individual’s existing contribution caps. From 1 July 2018 onwards, the individual will be able to withdraw these contributions and their associated deemed earnings for a first home deposit. The withdrawals will be taxed at an individual’s marginal tax rate, less a 30% tax offset. Under this new first home super saver scheme, both members of a couple can take advantage of this measure to buy their first home together. The scheme is intended to provide an incentive to enable first home buyers to build savings faster for a home deposit, by accessing the tax advantages of superannuation. A person aged 65 or over can make a non-concessional contribution into superannuation of up to $300,000 from the proceeds of selling their principal residence. They must have owned their principal residence for at least 10 years. This measure will apply from 1 July 2018 and is available to both members of a couple for the same home. These contributions are in addition to existing rules and caps and are exempt from the age test, work test and the $1.6m total superannuation balance test for making non-concessional contributions. The CGT discount will be increased from 50% to 60% for Australian resident individuals investing in qualifying affordable housing. the investment must be held for a minimum period of three years. This measure will apply from 1 January 2018. The higher discount will flow through to resident individuals investing in affordable housing via managed investment trusts (MIT) as part of the tax measure enabling such trusts to invest in affordable housing. Individuals who are foreign or temporary tax residents will no longer have access to the CGT main residence exemption from 7.30pm (AEST) on 9 May 2017. Existing properties held before this date will be grandfathered until 30 June 2019. The CGT withholding rate that applies to foreign tax residents will be increased from 10% to 12.5% from 1 July 2017. Currently, the foreign resident CGT withholding obligation applies to Australian real property and related interests valued at $2m or more. This threshold will be reduced to $750,000 from 1 July 2017, increasing the range of properties and interests that will come within this obligation. Foreign owners of vacant residential property, or property that is not genuinely available on the rental market for at least six months per year, will be charged an annual levy of at least $5,000. The annual levy will be equivalent to the relevant foreign investment application fee imposed on the property when it was acquired. The measure will apply to persons who make a foreign investment application for residential property from 7.30pm (AEST) on 9 May 2017. Purchasers of newly constructed residential properties or new subdivisions will be required to remit the GST directly to the ATO as part of settlement from 1 July 2018. Under the current law (where the GST is included in the purchase price and the developer remits the GST to the ATO), some developers are failing to remit the GST to the ATO despite having claimed GST credits on their construction costs. The new measure is an integrity measure to strengthen compliance with the GST law. The government will extend the taxable payments reporting system (TPRS) to contractors in the courier and cleaning industries. The measure will have effect from 1 July 2018. The TPRS already operates in the building and construction industry. Under the TPRS, businesses are required to report payments they make to contractors (individual and total for the year) to the ATO. Businesses in these industries will need to ensure that they collect information from 1 July 2018, with the first annual report required in August 2019. 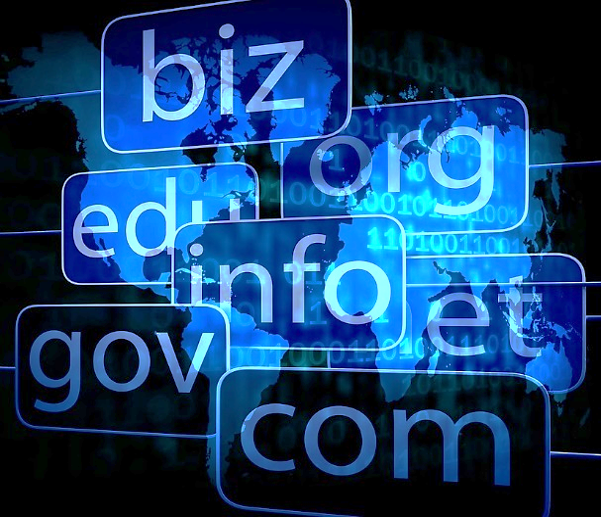 Domain names can be something of a grey area for many business owners. Everyone needs one, but how much do they cost? Should you buy the .com, .biz or .net extension? And what if the domain you want is already registered? Why is it important to have the best possible domain name? What is a ‘category killer’ domain name? If you sell cupcakes, the category killer domain name is cupcakes.com.au. If you sell mobile phones, it would be mobilephones.com.au. It’s the most relevant, most descriptive domain for your business. As consumers, we perceive these domain names to have the best businesses. These businesses must have been around for years: how else could they have this domain name?! They must be successful. By having this ‘trust’ factor, your business will shave years off the process of trying to create a brand. You essentially buy one. In addition, this perceived trust will give you more inquiries and more sales. For example, I rebranded my previous business from Beep to CarLoans.com.au – every metric we measured increased exponentially overnight. It was the best decision we made. More website visitors, more inquiries and ultimately more sales. What can I do if my preferred domain name is already taken? I often hear from small business owners that the domain name in their industry is taken – this could be the case, but it doesn’t mean you can’t get something almost as good. The stronger your domain name, the better off you will be. How much do domains typically cost? Ultimately, a domain is worth what someone is willing to pay for it. Finance and insurance names are generally the most expensive. However, as a general rule, the broader a domain is, the bigger the potential it has and this will be reflected in the price. Should you buy .com or another extension (.net, .biz etc.) – or all of them? If you are a local business with local ambitions, then no, you shouldn’t buy the .com. If you sell a scalable global product like software, then yes, you may want to consider securing the .com. But note as a general rule a .com will cost you up to 20-25 times the price of the .au domain. It is quite common for .com domain names to sell for hundreds of thousands of dollars. You would only ever consider any other extension if there were no other choices, which would almost never be the case. Support is available from the Australian Taxation Office while you recover. 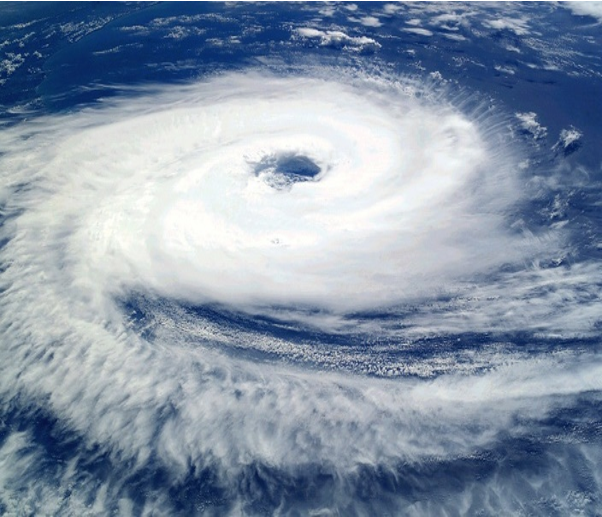 If your business has been affected by Cyclone Debbie or ex-Cyclone Debbie we understand that you have more things to worry about than your tax obligations. We’ll give you time to deal with your immediate problems first, and we can help you sort out your tax affairs later. If you have employees, you still need to meet your ongoing super guarantee obligations by 28 April 2017. All deferrals granted for later dates will still apply. If you are affected by a recent natural disaster and you need further assistance phone us on 1800 806 218. At long last the Australian parliament has passed the legislation that will enable companies to raise capital from the public. This is a great decision for small/medium enterprises, entrepreneurs and members of the public who wish to invest into a new type of company! The legislation indicates that the only entities which can raise money using the crowd sourced funding equity method will be an unlisted public company. The legislation enables a proprietary limited company to be able to be converted to an unlisted public company to enable the company to then be able to raise money from the “crowd”. Retail investors will be able to invest up to $10,000 every 12 months into a company. The “cooling off period” for retail investors is five days. Sophisticated investors are not subject to any investment limit and there is no “cooling off period” for them. The legislation introduces “gatekeepers”. 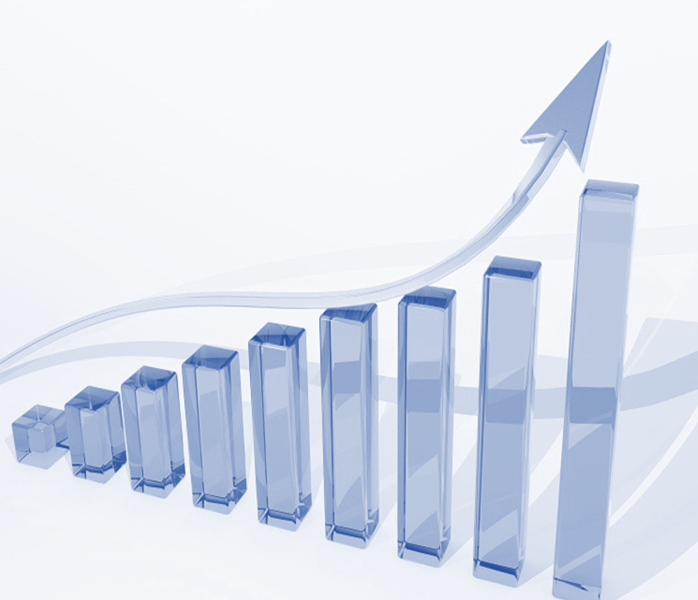 Their role is to ensure that a company, which wishes to avail itself of the crowdfunding equity raising rules, has prepared all of the information that is required and the gatekeeper would then place details of the company and its capital raising requirements, business plan etc., and the investment warnings onto their website. Members of the public could invest for the period stated in the documentation up to a maximum of three months. Gatekeepers will be required to hold an Australian Financial Services Licence and their responsibilities will include receiving the investors’ funds and at the end of the agreed period or three months preparing a report on the capital raising for the directors of the company and if the targeted sum has been raised transferring the net amount after deducting their agreed fee to the company’s bank account and supplying a list of the investors i.e. the company’s new shareholders to the company. If the capital raising did not achieve the targeted sum, the gatekeeper is responsible for returning the amount contributed to the potential investors. This legislation offers significant “revenue streams” for accountant/business advisors. A few years ago Deloitte issued a report relating to “digital disruption” in which they recommended that accountants/advisors develop strategies to create “new revenue streams”. 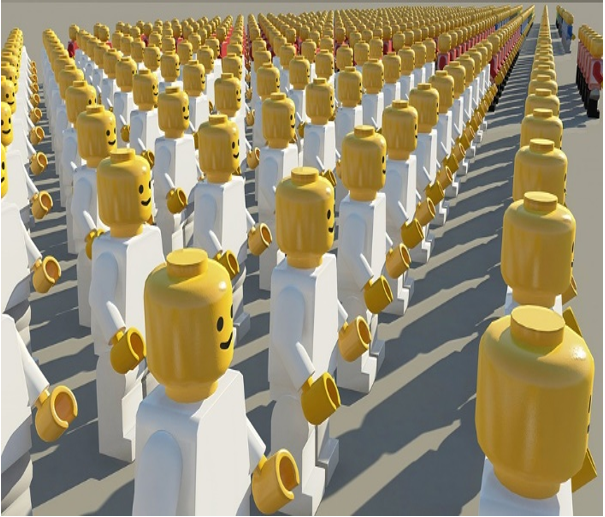 auditors – whilst the legislation indicates that if the company raises less than $1 million the company does not have to appoint an auditor in the first five years, many boards of directors will decide that, for sound corporate governance reasons and accountability, they would like to appoint an auditor. company director appointments – many companies will be seeking persons with financial experience such as accountants to be appointed to their Board of Directors. The legislation commences operation in September 2017. I would urge you not to wait until that time to commence your planning on the services that you wish to provide. Now is the time to start preparing your team to be able to offer this expanded range of new services to your clients and prospects. In December 2015 when the Prime Minister announced the government’s innovation package he indicated that 4,500 companies had not been able to raise capital in 2015. A few people contacted me after that statement was made and enquired where the figure of 4,500 came from. I made some enquiries and discovered that this was the number of enquiries that AusIndustry reported to the government from people who complained to them that they’d been unable to raise capital. I doubt whether everyone that had difficulty in raising capital in 2015 would have told AusIndustry so there is a reasonable chance that the 4,500 figure is quite conservative. There could be many thousands of companies trying to take advantage of the new legislation. The source of enquiries relative to crowdfunding equity raising will primarily be from small/medium enterprises and small entrepreneurs. These people are traditionally the clients of “small to medium-size accountancy businesses” in Australia. The challenge for small to medium-size accountancy businesses is being able to deliver a product package that will assist these people who are the “traditional clients of small/medium-size accountancy businesses” to get started on this journey rather than encouraging them to go to larger accountancy firms because of a perceived lack of interest from small/medium-size accountancy businesses. The ball is in your court and I would urge you to get involved in the game! Ensure your business maintains a healthy financial state by keeping up-to-date on the comings and goings. One bookkeeper shares her advice on the top four things you should be seeking to find out from your bookkeeper. A survey of over 250 business owners revealed an alarming statistic — 25 per cent of those surveyed said they turned to friends and family to ask for advice on how they could make and save money in their business. While chewing the business fat over a BBQ with your friends may give you a few simplistic insights into your own business, it’s no substitute for the expert advice a bookkeeper can provide. Working with thousands of business owners across the country, one thing is clear financial literacy is not as high as it should be. 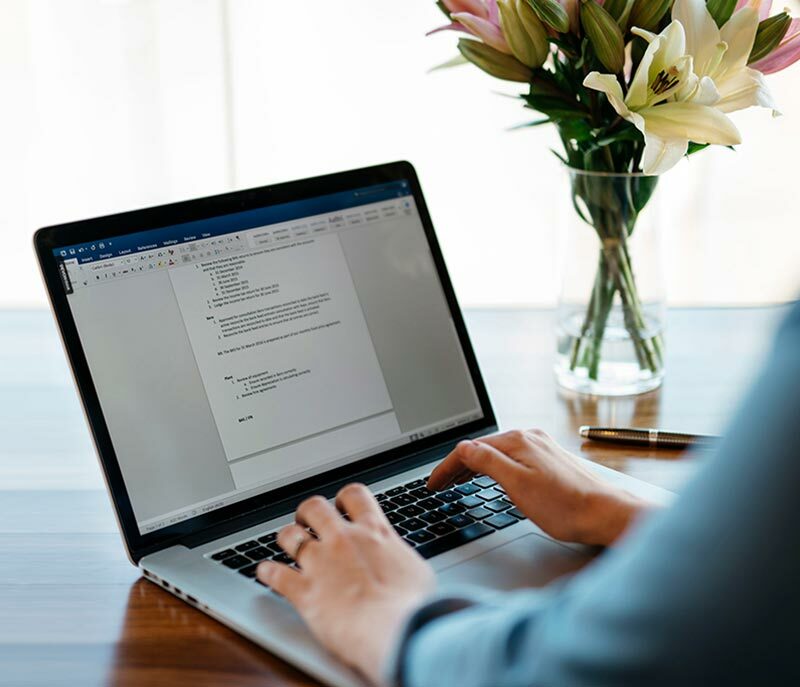 Many business owners commence a new business with little financial knowledge, and once their business is up and running, they often have minimal free time to catch up. Fast forward several years and if they have been lucky or smart enough, they have a bookkeeper who has taken care of the financial side of their business while they have been spending time establishing it. But it’s often at this point when the wheels start to come off. Small business owners can find themselves in the position of not knowing the right questions to ask their bookkeeper, but also being afraid to ask anything for fear of appearing financially illiterate. Question #1: Is my business profitable? It sounds simple, but many business owners don’t even realise whether they are profitable, because they don’t really understand their bookkeeping records and how they can use them to forecast for coming financial years. Business owners should be asking their bookkeeper about the financial trends of their business from year to year. Factors such as staffing costs and things that might have been out of the ordinary for a particular year, like a high-profit-generating client or project, need to be considered when making comparisons between financial years. 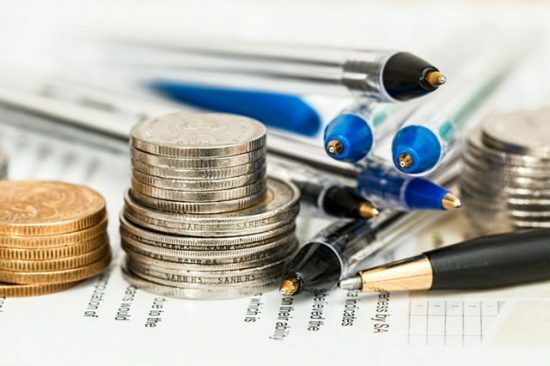 Results from First Class Accounts’ survey of business owners revealed that maintaining cash flow was one of the top three challenges for those surveyed. Knowing how to correctly compare your business performance from year-to-year can help you plan to have sufficient cash flow during the leaner months or years. Question #2: How much am I spending on wages? It’s a question that often goes unasked, but business owners should know how their wage costs are tracking. Wages are a major component of business costs in Australia, and business owners need to know whether the wages they are paying are tracking at a reasonable percentage of their overall business income. Benchmarks for wage costs differ depending on the type of business you operate. Within the production industry, for example, wages are a direct cost to the sales generated and the ballpark benchmark for this industry is 3 per cent of income generated. Question #3: How can I grow my customer base? Those business owners surveyed by First Class Accounts cited new business generation as the most challenging part of running their business. Business owners should be tapping into the insight bookkeepers have about their business, and asking them about systems and procedures that can help them streamline their business, in order to help grow their customer base. If you are using cloud-based accounting software, you can integrate customer relationship management (CRM) and job management software packages that will give you an insight into your current customer base. For example, what and how much they buy from you, how often and why you are contacting them (are you contacting them to provide customer service or chase up unpaid invoices?). This also gives you a solid base for planning marketing initiatives to grow your business. At 4Front we provide bookkeeping services that allow you to focus on your business while we help simplify your processes. From data entry to payroll processing we aim to help you achieve the best possible outcome at tax time. The government has proposed a 55% increase in audit funding over the next four years. A target of $3.7 billion is anticipated for the gross revenue that will be raised as a result. So what does this mean for you? We suspect an increase in audit activity in relation to individual, business and SMSF lodged returns. Gain a better understanding of your financial position and tax particulars by talking with your accountant. Your accountant can also conduct a risk assessment, and in doing so you could both discover a better way to structure your affairs. In the event that you are contacted by the ATO or other government revenue agencies, the best action for you to take is to advise them that you would firstly like to talk to your accountant. 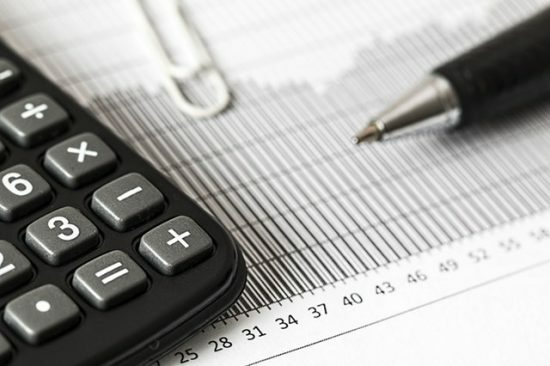 As your accountant, we have the experience in dealing with these matters and will be more likely to reduce the time and cost required to attend to the audit activity in question. We proudly offer our Audit Shield service as a mechanism to protect you against unplanned professional fees that can arise as a result of audit activity. With the government’s focus on increasing gross revenue, taxpayers will be scrutinised – increasing your chances of an audit, enquiry, investigation or review. Even if no adjustments are required to your lodged returns, significant costs can still be incurred in order to satisfy the requests of the ATO or other government revenue agencies responsible for the instigation. If you would like to hear our experiences with the increase in audit activity, or if you would like to learn more about how you can protect yourself with our Audit Shield service, please contact our team. In recent months, ransomware has been increasingly garnering headlines here and across the globe. If you’ve been keeping your head down and believe that it won’t happen to you or your business – now is a good time to think again. Ransomware is generally spread using some form of social engineering, for example, where victims are tricked into downloading an email attachment or clicking a link that contains a virus, which in turn locks a user’s or company’s data. This is followed by a message from the hackers demanding payment to release the affected files. Unfortunately, too often businesses don’t have the right protections in place and thus cough up the ransom. As a result, ransomware has become a lucrative option for cyber extortionists, who are taking advantage of individual’s and business’ willingness to pay up and are making millions. In fact, the FBI and security experts have warned that the total cost of damages is increasing exponentially and is set to hit US$1 billion in 2016 alone. In recent months, ransomware has affected everyone from Australia Post and AGL customers, to Pokémon Go players and the Australian Federal Police. But while organisations of all types and sizes have been impacted, SMEs are particularly vulnerable. Frequently, small business IT teams are stretched thin and, in some cases, rely on outdated technology due to budgetary constraints. This creates the perfect storm for ransomware vulnerability. Our business, Datto, recently surveyed 100 managed service providers in Asia-Pacific, representing thousands of small businesses. A staggering 85 per cent reported that their SME customers had experienced a ransomware attack in the past 12 months. According to the survey’s findings, businesses in the region are paying an average ransom of $11,781 to unlock files that are held ransom – a considerable expenditure for any small business with limited resources. The statistics are clear. For SMEs it’s no longer a question of ‘if’ but ‘when’ ransomware will strike. Fortunately, there are measures you can take to protect your business against ransomware attacks. Christmas is just round the corner and with it comes the Christmas party season. But if your business is forking out for a festive fling, is there also a tax hangover on the horizon? 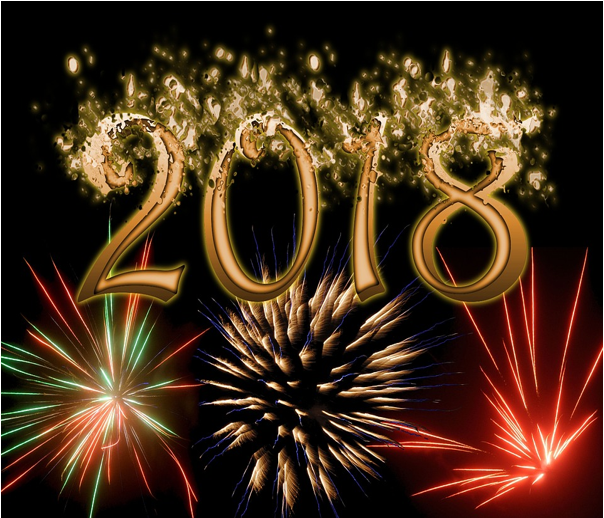 Over the next few weeks, thousands of Australian small businesses will pay for their staff to let their hair down at the annual end-of-year celebration. Here is my comprehensive guide to the tax consequences of Christmas for your business. First of all, I’ll consider entertainment and gifts for your employees, and then I’ll consider your customers and suppliers. 1. Is FBT payable? If you throw a Christmas function for your staff off-site, for example at a hotel, restaurant or function centre, the cost of providing the party would normally be treated as a fringe benefit, with fringe benefits tax (FBT) payable by the employer. However, provided the cost per employee is less than $300, no FBT will be due. This is because of the so-called minor benefits exemption. This exemption also applies if spouses or partners come along to the party. 2. Number of benefits: The minor benefits exemption applies to each benefit provided. What that means in practice is that if you’re feeling generous and spend $290 per head on the party and then give a gift to each employee valued at a further $290, then both expenses are free of FBT. 3. Price per head: If you spend more than $300 per head on the function, the whole lot will be subject to FBT, not just the excess. 4. Party costs: The costs (such as food and drink) of a Christmas party are exempt from FBT if they are provided on a working day on your business premises and consumed by current employees. If spouses or other guests of employees are entitled to attend, there could be an FBT liability unless the cost is covered by the minor benefits exemption (above). 5. Paying for transport: If your business also covers the cost of taxi fares to and from the festivities, these costs will count as part of the $300 per head limit if the function is off-site, but will be exempt from FBT if the party is at your premises. 6. Are Christmas parties tax deductible? The bad news is that if the cost of your Christmas party is exempt from FBT, it isn’t tax deductible for income tax purposes. Nor can the business claim GST credits for the costs incurred. 7. Are Christmas gifts tax deductible? Confusingly, even though gifts to employees are also covered by the FBT exemption, they generally ARE tax deductible and a GST credit can be claimed. 8. Tax for employees: None of this generally impacts on employees’ tax position. They can eat, drink and be merry knowing that the tax consequences usually fall only on the employer. Don’t think your tax deductions will automatically be rubber stamped. Here are some of the most ‘bizarre’ tax claims notched up over the last tax year. Marcus Davis, principal and tax specialist at Crowe Horwath, told My Business’ sister publication AccountantsDaily about some of the particularly “odd” claims his firm’s clients attempted to get over the line. For one, several teachers argued their Foxtel subscription was conducive to forming lesson plans. One history teacher argued the necessities of the History Channel for their professional use. Similarly, a PE teacher attempted to claim their membership to a football club on the grounds of professional development. Mr Davis also recalled an office worker who tried to argue that his 60-inch plasma screen TV wasn’t purchased for entertainment purposes, but rather as a second screen for his laptop. Another taxpayer was adamant that his two-week trip to the Gold Coast to check in on his investment property was justifiable, even though it included flight fares and accommodation for his entire family. To read the full article visit ‘Bizarre’ Tax Claims for 2016 Revealed at My Business. If you are waiting for the superannuation reforms announced in the Budget to pass Parliament before working out what they mean to you, you might miss out on any opportunities available. When enacted, the reforms will represent the single biggest change to superannuation since its inception. While there has been a softening of the original Budget announcements, there are still some very big changes coming your way. If you are close to retirement age and looking to build your super balance, this change is incredibly important. From 1 July 2017, the annual non-concessional contributions cap will be reduced to $100,000 (from the current $180,000). This means that if you are approaching retirement age, you have until 30 June 2017 to use the current caps and contribute up to $540,000 this financial year. You can do this using the ‘bring forward’ rule. This rule allows you to bring forward up to three years worth of non-concessional contributions in one year (and then make no or limited contributions for the next two years until you reach your three year cap). The advantage of using the bring forward rule now is that your three years worth of contributions utilise the current caps. If you contribute more than $180,000 this financial year but not the full $540,000, you still trigger the bring forward rule but any further contributions from 1 July 2017 are subject to the new $100,000 cap. That is, instead of your cap being $540,000 across three years, it might be $460,000 or $380,000. And, if you wait until after 1 July 2017 to trigger the bring forward rule, you will only be able to contribute up to $300,000. If you want to make in-specie contributions – that is, contributions to super that are not cash such as listed shares, etc., then you should look at whether the cap reduction affects your ability to do this. Once your super balance has reached $1.6m, from 1 July 2017 you will no longer be able to make non-concessional contributions to super. So, you have until then to maximise your contributions (see Reduction in non-concessional contribution caps). Going forward, your super balance will be assessed at 30 June each year. From 1 July 2017, the annual concessional contribution cap will be reduced to $25,000 for everyone (currently $30,000 for those aged under 50 and $35,000 for those aged 50 and over). High income earners with incomes of $300,000 or more pay 30% tax on contributions they make. From 1 July 2017, this threshold will reduce to $250,000. The reforms introduce a $1.6m ‘transfer cap’ on the amount you can hold in a superannuation pension. This means that if you are in pension phase, the balance of your pension needs to be no more than $1.6m. If not, from 1 July 2017 the Tax Commissioner will direct your fund to reduce your retirement phase interests back to $1.6m and you will be subject to an excess transfer balance tax. Your overall super balance can be more than $1.6m but only $1.6m can be transferred into a tax-free pension. Keeping the excess balance in super may still be worthwhile because of the low 15% tax rate. If your spouse has a low superannuation balance, it might be worth thinking about how you can maximise your returns as a couple. From 1 July 2017, the income from assets supporting transition to retirement income streams will no longer be exempt from tax but included in the fund’s assessable income. For example, if your super fund earns interest from a term deposit, that interest is currently tax-free in a transition to retirement pension. From 1 July, that interest will be included in the fund’s assessable income. The Government has closed a quirk in the superannuation system that allowed people under 60 to withdraw from their pension and in certain circumstances have that withdrawal treated as a tax-free lump sum. From 1 July 2017, the ability to take a lump sum from an account based pension will be removed. Generally, from age 60 these pension payments become tax-free. Currently, if you are 65 or over, your superannuation fund can only accept contributions from you if you work at least 40 hours in a 30 consecutive day period in the financial year. The original Budget announcements abolished this work test. Unfortunately, this reform is not progressing and the work test will remain. There is good news if you are partially self-employed and partially a wage earner. Currently, to claim a tax deduction for your super contributions you need to earn less than 10% of your income from salary or wages. From 1 July 2017, the 10% rule will be abolished. This change will be useful for contractors who hold their insurance through super as they will be able to claim a personal tax deduction for these insurance premium contributions. The caveat here is that these contributions must remain within the reduced $25,000 concessional cap. Normally, annual caps limit what you can contribute to superannuation. The reforms allow people with broken work patterns to ‘catch up’ their concessional super contributions. From 1 July 2018, people with super balances below $500,000 will be able to rollover their unused concessional caps for up to 5 years. Unused cap amounts can be carried forward from the 2018-19 financial year; which means the first opportunity to use these new rules will be 2019-20. A new tax offset will be available for people earning less than $37,000. The offset refunds any tax paid on super contributions. Currently, if your spouse earns less than $10,800, you can claim a tax offset of up to $540 if you make super contributions on their behalf. This offset is being extended to spouses who earn up to $40,000. The material and contents provided in this publication are informative in nature only. It is not intended to be advice and you should not act specifically on the basis of this information alone. If expert assistance is required, professional advice should be obtained. Uber is calling for drivers, Airbnb is seeking more hosts but what are the implications of becoming part of the sharing economy? The basics of tax apply regardless of how you earn money. That is, even though you may be earning income from different sources or using different platforms to generate income, the fundamental tax issues remain the same. You don’t have to be carrying on a business to pay tax on income you earn. And, given that so many of these services are through sharing platforms, the Australian Tax Office (ATO) has the capacity to data match money flowing through to financial institutions specifically from these platforms. Sharing a room or your house through services such as Airbnb can be a great way to earn income from an existing asset. The tax treatment of what you earn from these services is the same as any other residential rental property arrangement. This means you must include the rental income in your income tax return. For example, if a husband and wife jointly own a property that they rent out through a sharing service, whatever they earn needs to be declared on their income tax returns in the same proportion as the ownership of the house in the year they earned the income. Hosts can also claim tax deductions for expenses associated to the rental, such as the interest on your home loan, professional cleaning, fees charged by the facilitator, council rates, insurance, etc. But, these deductions need to be in proportion to how much and how long you rent your home out. For example, if you rent your home for two months of the financial year, then you can only claim up to 1/6th of expenses such as interest on your home loan as a deduction. This would need to be further reduced if you only rented out a specific portion of the home. GST does not generally apply to residential rental income. Be aware that renting out your home may have a direct impact on your tax-free main residence exemption for capital gains tax (CGT) purposes. In general, your home is exempt from CGT when you sell it. However, if you use your home to earn assessable income, then you might only qualify for a partial exemption on the sale unless special concessions apply. If you are renting out part of your home while still living in the property, then it is unlikely that any gain you make on your home will be fully CGT-free. You might also need to obtain a valuation of your home at the time it was first used to generate rental income. A number of investors are generating income from renting residential investment properties exclusively on sharing services rather than traditional longer-term rental arrangements – rental income can be higher for short-term accommodation and the host has the capacity to increase prices easily for peak periods. Just a quick look at properties available around the world on sharing sites shows how quickly this style of arrangement has attracted investors, particularly where the property is located in high demand tourist areas. But what are the tax implications if you own one or multiple investment properties and rent them on a sharing service? Firstly, it’s important to get good advice as this can be a complex area and being on the wrong side of the tax law can have significant implications. For example, if the ATO deems you to be providing commercial residential accommodation, they will treat your activities in the same way as hotels and motels meaning that the rent could trigger a GST liability for you (although you might be able to claim back some GST credits on expenses you pay). Broadly, accommodation falling into this category would have multiple occupancies such as a block of apartments, central management of the properties, and provide services to the guests beyond the accommodation such as breakfast or room servicing. Before becoming a host, as a minimum, it’s important to understand the tax implications of your arrangement, check if there are council restrictions, and ensure that you have the right insurance in place. Can your SMSF become a host and rent residential property on sites such as Airbnb? There is nothing that prevents an SMSF from providing host services assuming that the investment strategy of the fund allows for the risks associated to this style of rental and the liquidity issues have been thought through by the trustees. In general, the rules apply the same way as other residential rental property arrangements, in particular no one associated to the fund including the members, their relatives, or their associates can use the property. And, because the fund is not using a commercial property agent, for audit purposes, it will be essential to keep excellent paperwork to prove how, when, and to whom the property was rented. Also check the insurance is appropriate to protect the fund’s assets. The ATO regards ride-sourcing services as a taxi service, which means that if you are providing these services, you need to register for GST regardless of how much you earn from driving. Normally, taxpayers need to reach the $75,000 threshold before they are forced to register and remit GST but in the case of ‘taxi services’ this threshold does not apply. The ATO is definitive in its stance that ride-source drivers provide taxi services. The grace period for drivers to comply with the ATO’s strict stance expired on 1 August 2016 so all ride-source drivers should now be registered for GST. If you already have an individual ABN, for example you might do IT contracting, then you can use the same ABN for ride-source services and register for GST using this ABN. If you drive infrequently for a bit of cash on the side, you also need to declare any money you earn on your income tax return. But, you can also claim any expenses you paid for providing ride-sharing services if you own or lease the car you use for ride-sourcing (i.e., it’s owned or leased in your name). 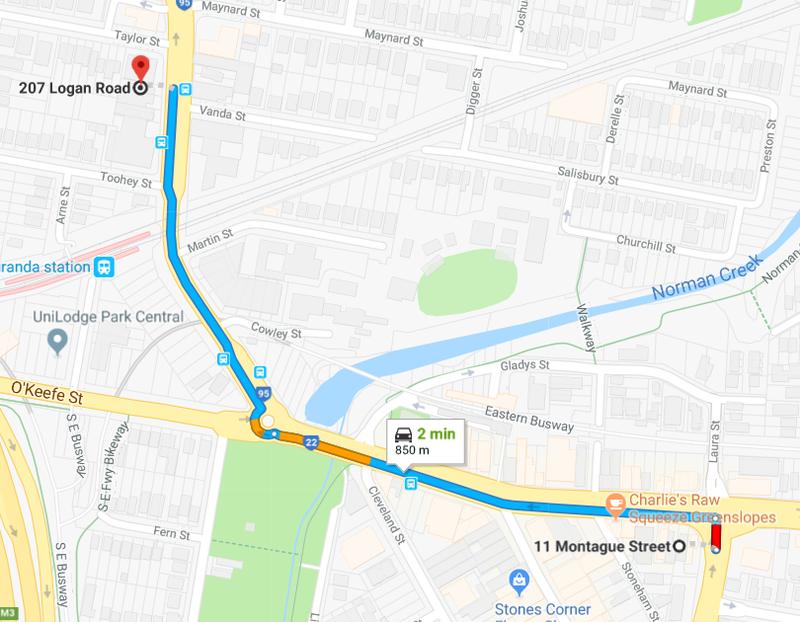 If you drive less than 5,000 kilometres in the financial year in the course of earning income, you could choose to simply claim a 66 cent per km deduction for the kilometres you travel while providing ride-source services. Or, you can keep a log-book for 12 weeks to work out your deductions that way. And, because you are registered for GST, you can also claim GST credits on expenses you incur in providing ride-source services. Just be aware that if the car is not used exclusively for ride-sourcing, you can only claim deductions and GST credits for the portion of expenses that apply to providing ride-source services – not everything you spend. Simply turning on the app is not enough – you need to be actually providing the service to claim a deduction. If you are in the business of providing ride-sharing services – for example ride-sourcing is all you do and you have set up a business structure to support it, like any other business, you have access to a broader range of deductions. This might include access to a broad range of small business concessions including an immediate tax deduction on assets costing up to $20,000 (GST excl.). However, you could also be subject to some strict rules which apply to losses made from business activities. There are a wide range of other services that could potentially be provided through the sharing economy. This could include using your ute or other commercial vehicle to provide removal or delivery services. In each case, it is important to work through the basic rules to determine whether the activities amount to a business, the income and deductions that need to be declared on your tax return, the records that need to be kept in order to support the claims that are being made, as well as the ABN and GST issues that go along with providing services. This is an area that is clearly on the ATO’s radar so it is important to ensure that all relevant tax obligations are identified and are being managed appropriately. 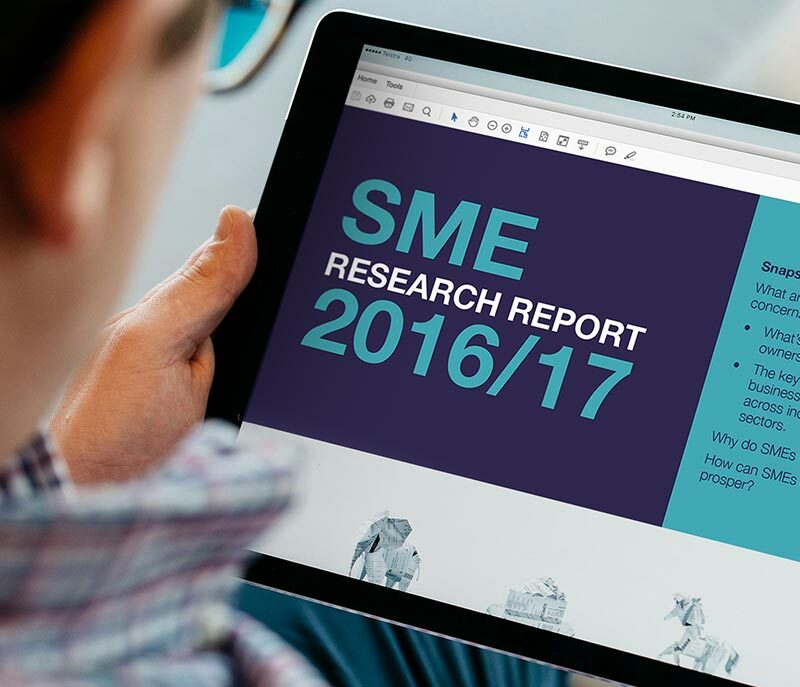 Bstar, in association with SV Partners, are on track to release their 2016/17 SMEs Research Report in mid September 2016. SMEs can use this information to find out what successful businesses are doing to prevent failures, and to grow and improve their business and exit on their terms. How SME’s can seek help and prosper. We’ve recently partnered with our good friends AB Accountancy, CPD Accountants and CPD Superannuation. Our new name reflects our strengthened industry position and our dedication to helping our clients grow, build wealth and secure long-term financial success. 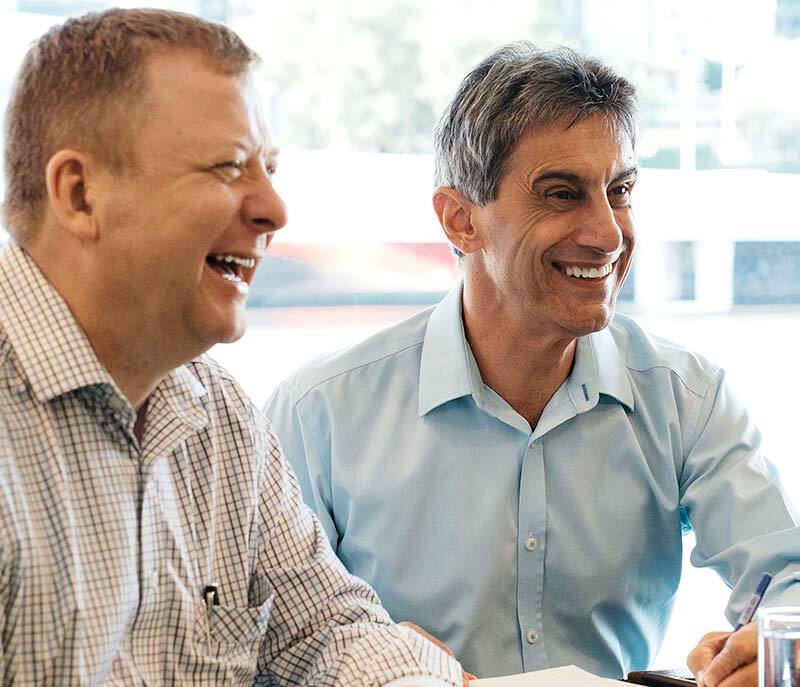 Collectively our Partners John Postle, Carmine Decorso and Drue Schofield, have over 60 years industry experience and believe the key to successful business relationships is founded on mutual trust and understanding. Our team of qualified industry professionals stay at the forefront of business trends and advice. We tailor our services to meet our clients’ individual or strategic business needs and ensure our focus is always on their success. We hope you enjoy our new site, we look forward to speaking with you soon. Will your assets go where you want them to? No one likes thinking about either their will or the impact of their death even though death and taxes are said to be the two certain things in life. Succession, retirement and estate planning are critical issues for many farming enterprises as baby boomer parent’s transition to retirement. Talking about succession well ahead of retirement is probably the best thing you can do to avoid family conflicts and to make sure your family wealth ultimately ends up where you want it to. A few years ago Frank and Joan passed away and did not discuss the contents of their Will. The Will provided for each of their 4 children to share equally in the farm ownership upon their death. Due to a recent relationship breakdown within the family, a large part of the farm had to be sold leaving an uncertain future for Frank and Joan’s farming enterprise. How do you decide who gets what? There are no set rules for family succession, retirement and estate planning. Taking a proactive approach can, however, minimise the potential for family conflicts. A proactive approach allows you to communicate your succession and retirement plans to all family members whilst you are in control of the family situation (i.e. prior to your death). Will there be sufficient assets in your estate to provide for your children? Will sufficient funds be available to sustain the farming enterprise should you die or you are unable to complete normal duties? Will your share of the farming enterprise go where you want it to? Have loan accounts that you have with the farming enterprise been considered as part of your estate plan? Have all significant loans been appropriately documented? Do you intend forgiving any personal or commercial debts owed to you by family members? Do you have a valid Will and an enduring power of attorney? Due the complex nature of some of these issues, it is important to allow as much time as possible for their consideration and, if possible, to arrange independent support and advice prior to making your decision. Accountants, Banks and Financial Planners now have access to Materials, Tools and Programs that are making it easier for farming families to transition their farming wealth. *An extract from Bstar’s ‘Award Winning’ Business Life Planning Program. Why your survival means evolving your business? It’s been some time since you started your business. Many business owners have mixed emotions as they experience the highs and lows of owning and running a small business. Very few small business owners take the time to sit back and analyse the changes taking place in their business and business operating environment and then consider how these changes impact on their current and future business situation. More businesses for sale with fewer buyers. Small business owners need to continually evolve the way they do business if they are to survive and thrive. Completing a business SWOT analysis is an essential first step in any effective business planning process with the aim of successfully evolving the business to counter existing weaknesses and threats, bolster strengths and take advantage of opportunities as they arise. Planning is the key to your future success. Successful small business owners are able to spend less time working in their business, with more time spent planning their future. Take the time to find out what’s happening in your industry, how you compare with your peers (benchmarking) and establish a picture of what your business will look like in the future. 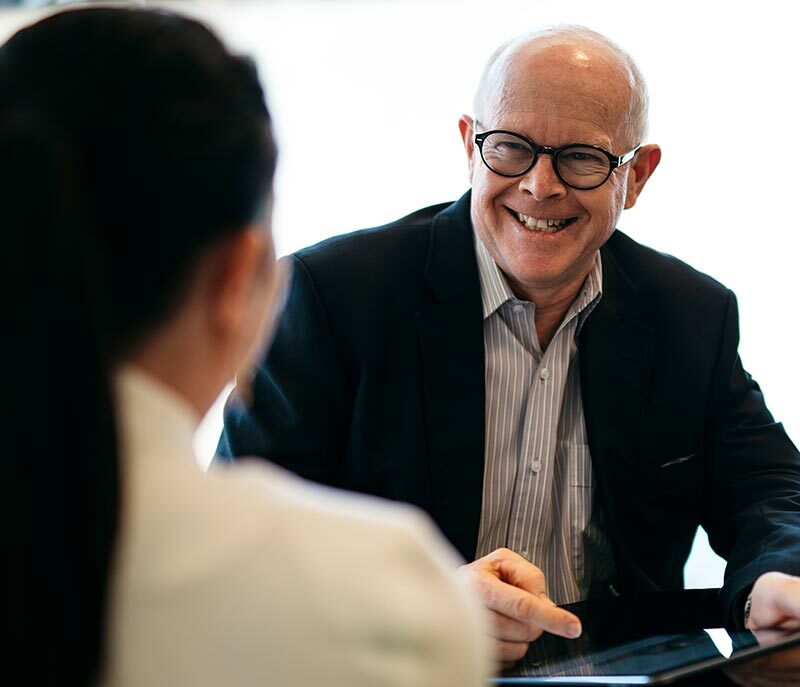 Invest in planning days with your most trusted Advisers (Accountant and Financial Adviser) so you can get independent and objective advice on how your business is performing. Do you have an end game? You’ve grown your business gradually and now your minds turn to collecting your reward from your investment capital, know-how, and years of effort. Achieving the most for your business requires the same diligence it took grow it. So how can you ensure you receive a return for your efforts? Increased house prices restricting the funding options for successors. Why is Succession planning a key – issue now? Times change, markets change, and so does the business environment. Not long ago, business entry costs and competitive forces were lower and business growth could be funded by borrowing against increasing house prices. Business success demands focus by you on the operation, but ultimately, issues of success and retirement will creep up. By then, getting the price you need could be elusive. The next generation of business owners, Generation Y, face a completely different business environment. Start-up and acquisition costs are higher, regulatory barriers are higher, and competition has increased. Business funding opportunities are also more limited in comparison. You’re a business owner and you understand the driving forces behind competition, supply and demand. In a Buyer’s market – they can be selective and value driven. Thus, it is important for you to start planning your succession now. Copyright © Bstar Pty Ltd, All rights reserved. Would you like to keep up-to-date with the latest industry news, information and advice? Representative of Merit Wealth Pty Ltd ABN 89 125 557 002, Australian Financial Services Licence Number 409361. ABN 89 125 557 002, Australian Financial Services Licence Number 409361.